Make more space in your student life for science reading! The focus this year will be “AI: methods, applications, and reliability”. Science reading is about reading and understanding articles that target the general public. As students and researchers in science, we read to keep up to date with research findings and scientific breakthrough. In this class, you will read accessible science articles in English to understand a powerful field: Artificial Intelligence. 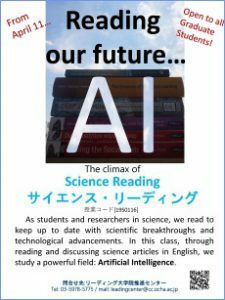 Students are expected to read a science article related to AI.